On a not-so-sunny Thursday evening, after a hectic week putting the paper together, the last thing I want to do is cook. Suffice to say I’m ready for the couch! So when Fusion Restaurant in Ballinasloe asked if we would like to try some of their food we weren’t going to say no. Based on Society Street, this new addition promises a unique mix of Thai, Malaysian, and Asian cuisine. Being no stranger to the odd Oriental style takeaway it was a pleasure to get the chance to dine in their new restaurant. Clean and spacious, with heavy mahogany tables and chairs, modern light fittings, and large sash windows there’s plenty of chatter and giggles coming from a large group of friends beside us. The waiting staff are welcoming and excellent at helping us navigate our way through the menu. 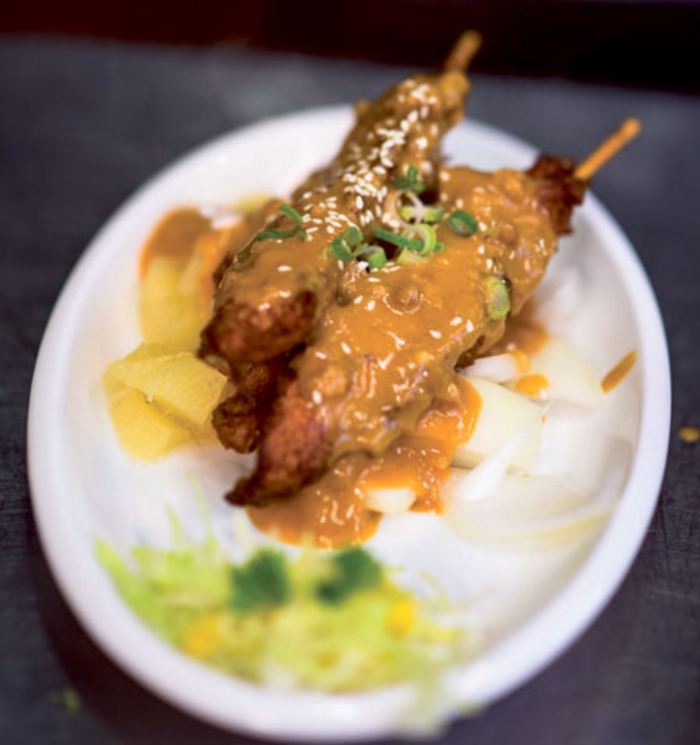 There’s soups and appetisers, and then a selection of reliable and familiar Asian and European dishes - but the real stars of the show have to be their selection of Malaysian and Thai dishes. My eye is drawn to the excellent selection of fish starters, and I can’t resist their spicy king prawn and to balance the new with the more traditional we also try their spring rolls. Both starters are presented beautifully with fresh and crispy salad garnishes. The portions are perfect, and the food is full of flavour - and making us want more! Fusion might be new to the food scene in Ballinasloe but it’s clearly already a firm favourite. As we dine there’s a pleasant hum coming from the restaurant. There’s a mix of diners, from girly catch-ups, to family treats, and those looking for a quick bite after a busy day’s work. All are treated with warmth and the waiting staff have a sharp eye of topping up drinks and removing dishes. Our mains come out on sizzling dishes and the aromatic smell on spices is so enticing it’s hard to wait for the food to cool down! We’ve chosen something a little traditional again - chicken and black bean - and Malaysian dish, sambal sauce, with the house special. Both are packed with fresh vegetables, still crispy, and freshly cooked meat and fish that’s tender. Their chicken in black bean sauce looks delicious, and true to appearance it is bursting with flavour. It’s my first time trying a Malaysian dish that’s not satay, and I must say it couldn’t be faulted. I usually choose Thai takeaways as I find them cleaner and lighter than the more traditional Chinese, and this Malaysian dish is on a par. Packed with flavours there’s a hint of lime juice and a kick of chilli combined with shrimp paste and fish sauce. It’s cooked to perfection with tender beef, fresh prawns, and generous chunks of chicken. For dessert we share homemade tiramisu. I was pleasantly surprised to find that it was up to the standard of any other homemade tiramisu I’d tried before. With such fresh and flavoursome dishes being produced from the kitchen of Fusion Restaurant it’s no wonder people come back every week for more. Their menu is the perfect balance of traditional and new; be sure to give their Malaysian and Thai dishes a try, you won’t regret it! Fusion Restaurant offer dine in and takeaway options. For more information call them on (090 ) 9645419 or find them on Facebook.